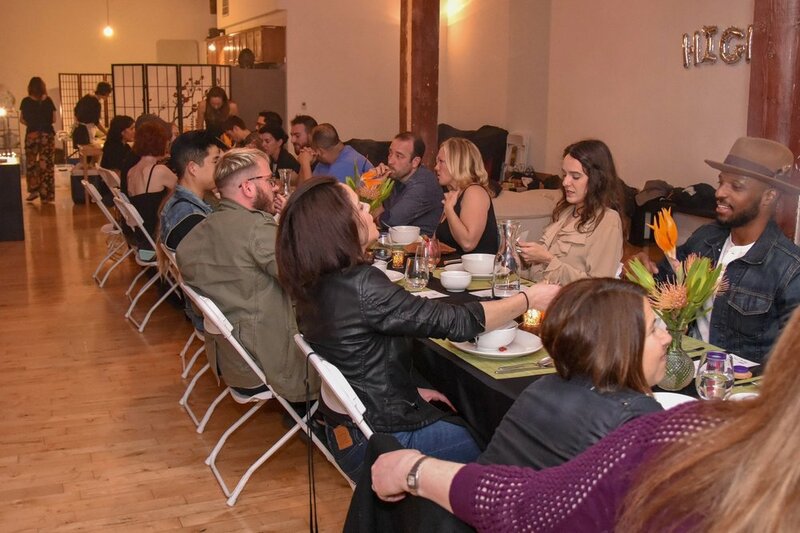 Food Flower Future produces cannabis-infused dinners and other cannabis-related events that offer more than the meal itself, we're setting the table for a more intimate way to connect with our community, with meaning and purpose. 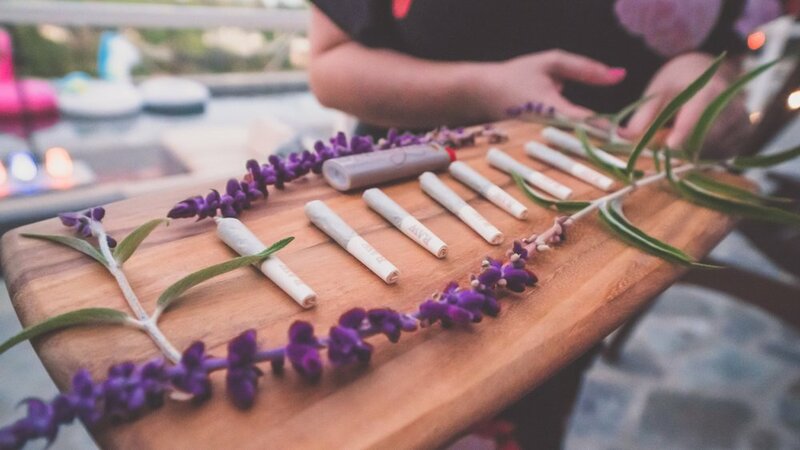 We collaborate with several cannabis companies to feature while cultivating community through food, flower, and conversations about the future. Open-minded individuals who are excited to explore. Cannabis conosossiers to the Cannacurious who crave an experiential seat at the table. Join us! 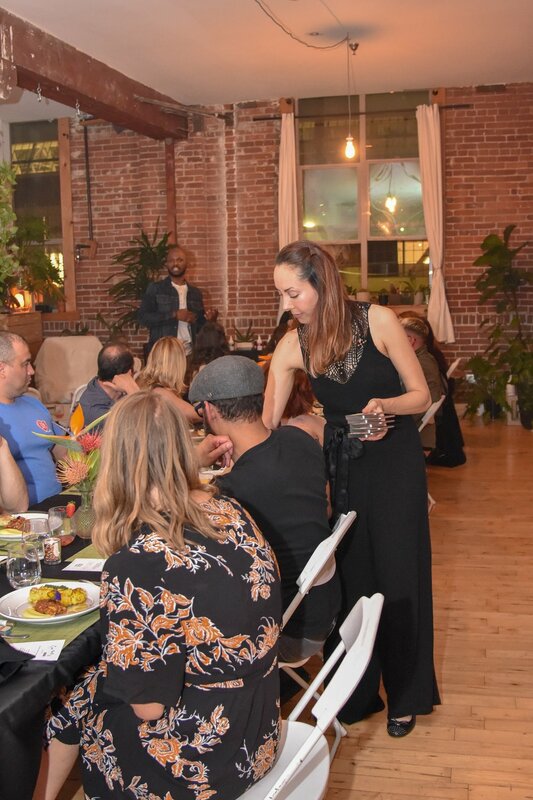 "FOOD FLOWER FUTURE'S CANNABIS DINNER IS ONE OF MY FAVORITE EVENTS YET!" "THE BEST PART OF THE EVENING WAS GETTING TO KNOW THE SPONSORS AND BEING EDUCATED ON THEIR PRODUCTS." "EVERYTHING WAS DELICIOUS! I CAN'T WAIT TO SEE WHAT WILL BE ON THE MENU NEXT." "EMILY IS ON POINT IN THE KITCHEN. YUM!" "THANK YOU FOR A LOVELY EVENING. IT WAS GREAT TO BE SURROUNDED BY A CONSCIOUS GROUP OF INDIVIDUALS." "KHARA IS A LOVELY HOST! SHE CURATES EVERY DETAIL." "I WAS REALLY IMPRESSED! IT'S A GREAT EXAMPLE OF EVENTS DONE RIGHT!" "I'VE BEEN TO A LOT OF EVENTS AND THIS ONE SHOWS PURE HEART. YOU CAN FEEL IT FROM THE MOMENT YOU ARRIVE." "THERE WAS SO MUCH FOOD! I LOVED THE MOCKTAIL!" "FOOD FLOWER FUTURE EVENTS ARE ABSOLUTELY AMAZING - EXCEPTIONAL IN EVERY WAY." Cultivating Community through HIGHer Conversations & Collaborations. Sign up for news about our next event! Thank you! You’ll be the 1st to know about our next upcoming event.